The NCPCR in its finding has now said that in all the places it visited not a single child labourer was found. 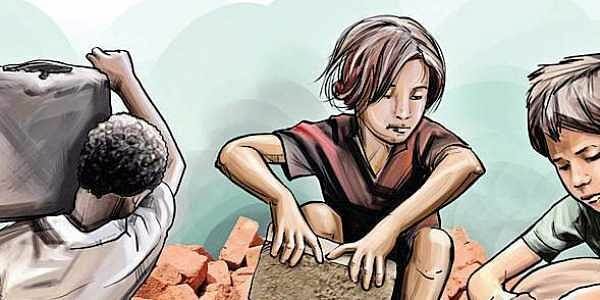 NEW DELHI: The National Commission for Protection of Child Rights has rubbished the report of an international NGO that had “highlighted” widespread involvement of child labourers in granite quarries in southern states and discouraged multi-national companies to source granite from India. A fact finding team of the NCPCR, along with UNICEF executives had visited Prakasam and Karimnagar districts in Andhra Pradesh and Telangana, Salem and Krishnagiri in Tamil Nadu and Ramnagar district in Karnataka over five months to carry out the investigations. The team was accompanied by members of state child rights’ commissions in all the places they visited. It has also said that all processes of granite industry are completely mechanized and there is no scope for manual labour or for child labour. Last year, India Committe of the Netherlands, an NGO based out of The Hague had said a large number of child labourers are employed in granite stone quarries and are made to work in difficult conditions. The 77-page report was titled as “The Dark Sites of Granite—modern slavery, child labour and the unsafe work in Indian granite quarries” and was prepared in support with another Netherlands based NGO—Stop Child Labour. “Companies sourcing granite and other natural stone products from Andhra Pradesh, Telangana and Karnataka or other states in India should implement a comprehensive human rights due diligence process as required by the United Nations Guiding Principles on Business and Human Rights and OECD Guidelines for Multinational Enterprises in order to identify,” said one of the recommendations. Those in the know say that publishing of the report has hit Rs 3000-crore granite industry in southern India and has seen several European companies stopping business transactions with India which is the largest exporter of Granite stone globally. “We took suo-motto cognisance of the report and carried out our investigation because it involved charges of widespread child labour,” said Priyank Kanoongo, NCPCR member who had led the Commission’s team.